We can’t look at the world in terms of little segments of people anymore. The world is becoming more and more global and we are all becoming global citizens. More and more people are working remotely and working with people from all different cultures and backgrounds. It is important that we teach our students to embrace and respect differences and to become aware of the world outside their own neighborhoods, communities, state, and country. 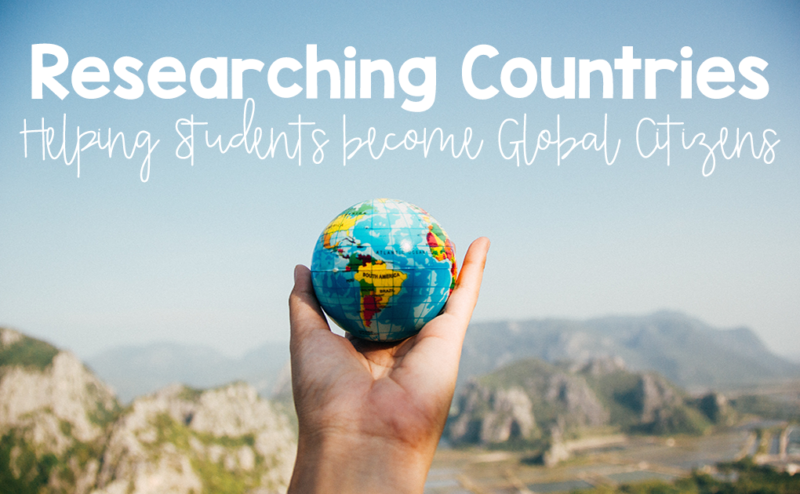 One way to allow students the chance to learn about and interact with the world is through a country research project. We are so lucky because the internet can allow us to temporarily immerse ourselves in another country. Country research can be carried out in so many ways and I hope that this article gives you some ideas on your country research unit. First of all, other countries are learning about us and there is power in knowledge. Children are generally curious about other countries and cultures so it isn’t hard to get them excited about this project but sometimes we need to help them see the importance of the research they will conduct. Here are some points you might want to discuss before starting your unit. Some students will have no trouble choosing which country to research but some will struggle. You can help them by reminding them that they might want to research a country their ancestors come from, somewhere they always wanted to visit, a country whose food they love to eat, when all else fails they can spin a globe and put a finger on it! There is also this great website that generates random countries that the student can choose from. As with all projects, the students need to buy into the reason why they are researching a country, why it is important and what they need to do. They also need to be aware of how the project will be assessed. In my packet, there is a student introduction letter with a tear-off bottom for the student to write their country and turn it into you so that you can make a record of it. It also includes a rubric. The next part is helping them to conduct the research. 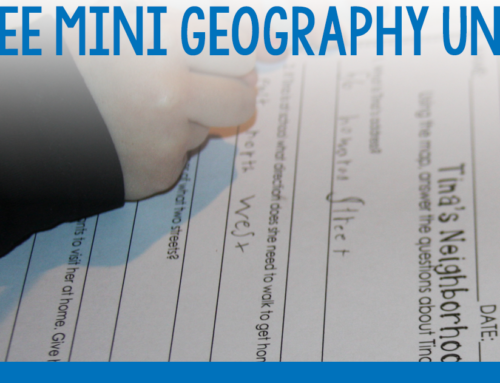 In general, when elementary students are conducting research it helps to give them a lot of guidance. My packet guides students in researching relevant and important information regarding the country with enough fun fact-finding to keep it fun and engaging. You can download the GOOGLE SLIDES document for free to use in your classroom. It helps by giving students a space to save their research media allowing them quick access when they prepare their final project and paper. Some areas of research are the countries location, geographical features, climate, capital, major cities, political leaders, currency, historical figures, cultures such as music, food, customs and traditions. I think this is one of the most important units in elementary school because the roots will run deep and students will remember their learning for a long time. When the world is becoming increasingly globally aware we are helping our students to grow and learn beyond their own boundaries. Love that this provides a framework for learning but still allows for students’ choice and ownership in their learning!